This past weekend, SpaceX’s Falcon 9 rocket exploded just minutes after its launch from Cape Canaveral, ending hopes of the first successful landing of a reusable rocket for the time being. 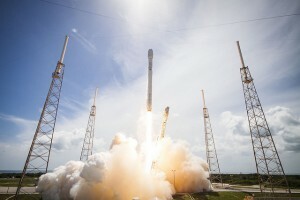 It marked the first time the Falcon 9 has ever failed, following 18 successful missions. While the rocket was on a resupply mission to deliver cargo to the International Space Station, there is no immediate threat to the astronauts aboard the ISS as they are reportedly stocked through September with supplies. SpaceX plans on conducting a thorough analysis to determine what led to the rocket’s liquid oxygen tank rupture.